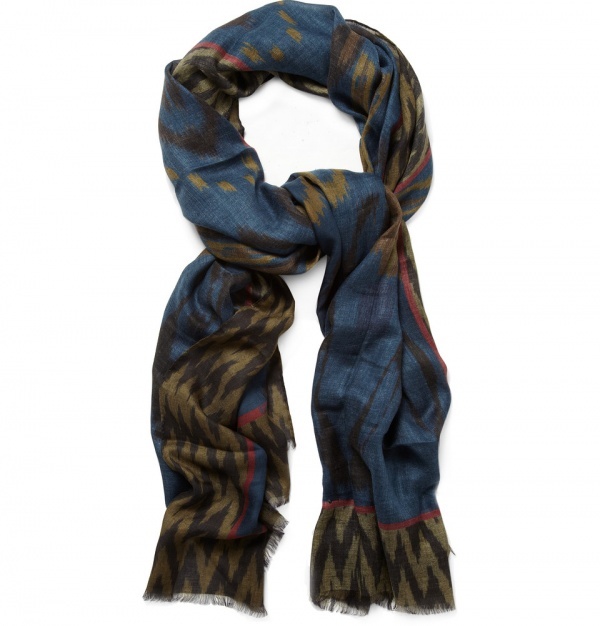 Italy’s Etro continue their roll out this season with this amazing ‘Lightweight Pattern Scarf’. Using 90% modal and 10% cashmere, the rough edged, breezy feel of this is what makes it an evening scarf rather than a cold weather piece. Loosely wrapped with a grey shirt, black jacket and trim black strides, this little gem will turn every head in the room. Get it at Mr. Porter. This entry was posted in Accessories, News and tagged Italy, Italy Etro, Lightweight Print Scarf. Bookmark the permalink.